MANY THANKS!!! to distinguished Ethnomusicologist, musician, composer Dr. TRAN QUANG HAI, Ph.D. for his insight into these recordings and the artists. These songs dated the beginning of 80's (not 70's) . They are no longer sung because the lyrics don't suit the desire of the youth nowadays . 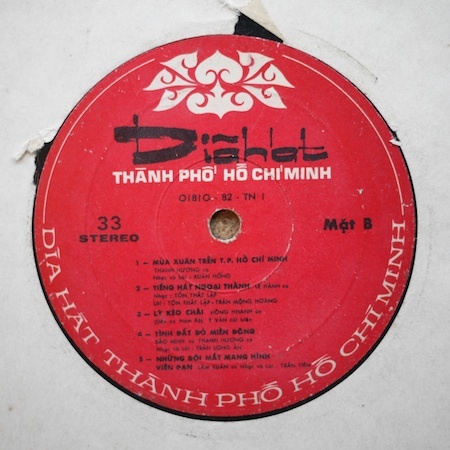 Some of singers in the LP are well known (HONG VAN, HONG HANH) Others are not known any more nowadays in Vietnam . [In response to my question:] THANH HUONG in the record is not HUONG THANH living in Paris . 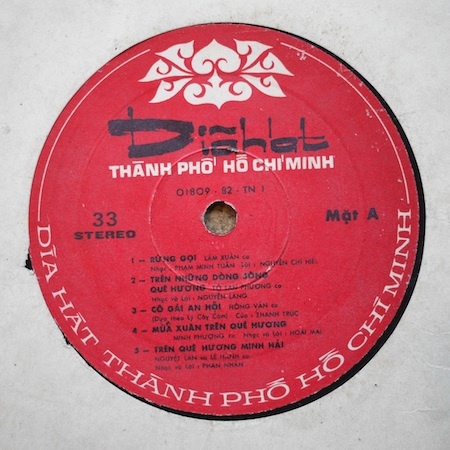 This record was published in HOCHIMINH city in 1982 .